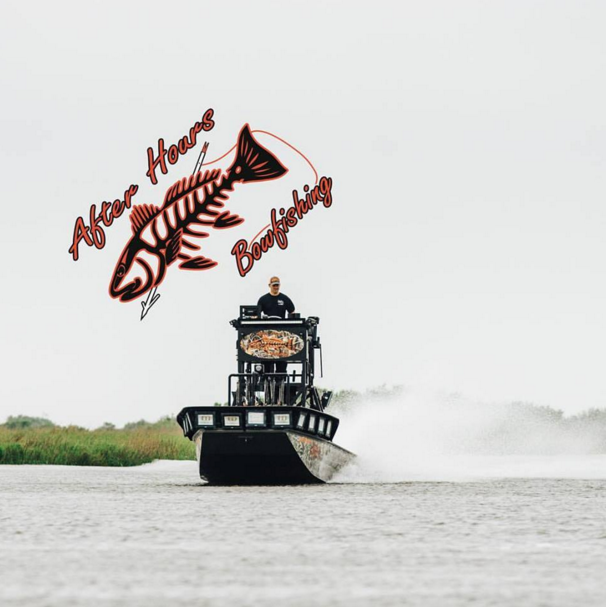 After Hours Bowfishing – Taking the bowfishing experience to the next level! JOIN US ON A FISHING ADVENTURE YOU WON’T SOON FORGET! We can accommodate from 1-6 passengers per trip. Our trips last from 4-5 hours meeting an hour before dark and fishing begins at dark. 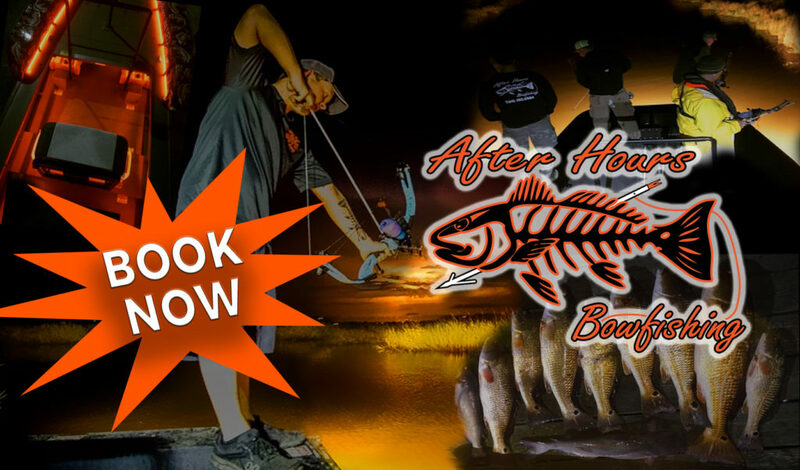 Learn more about After Hours Bowfishing by clicking the charter link below! 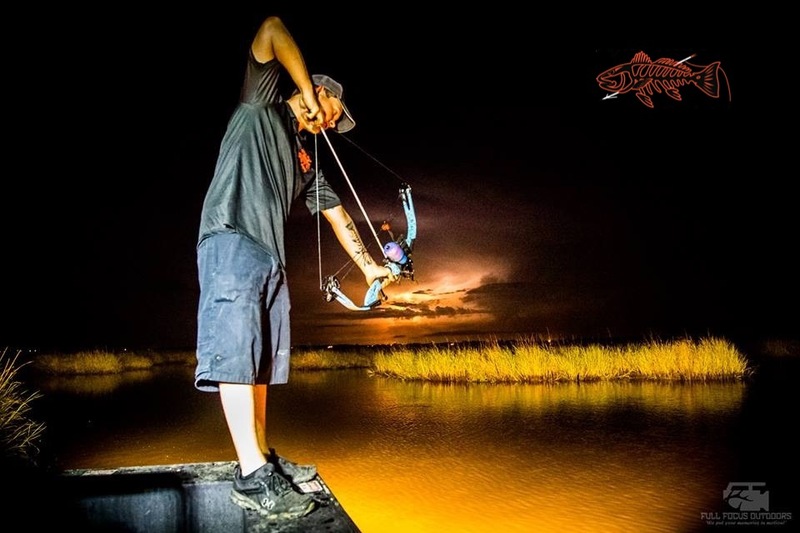 We are a Bowfishing Charter Company who enjoys taking you on a trip of a life time. 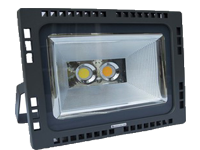 For all of you fisherman out there who love to fish, this is another way to achieve that thrill of fishing. 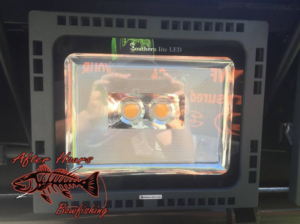 We use special bows set up to fish at night under the cover of darkness using high powered lights on the boat to see the fish. We cater to a variety of people from someone who has never held a bow to the most experienced fisherman. We also have left handed bows and equipment available for women as well. 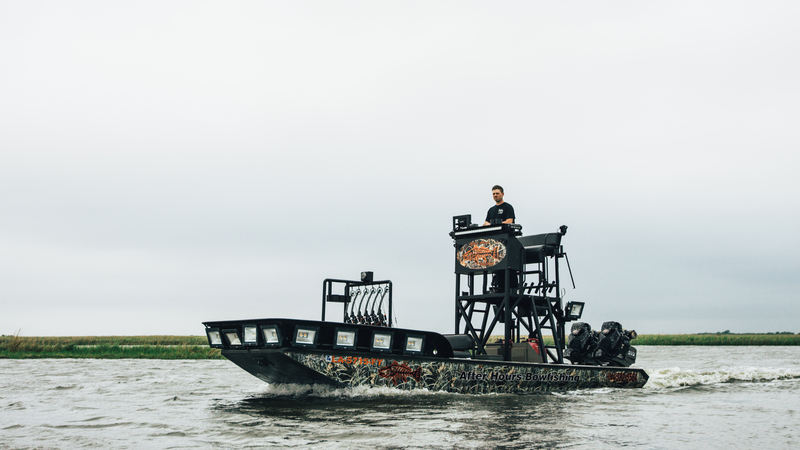 We fish out of Plaquemines Parish, La. It’s an adventurous excursion while you are on vacation or a fun activity if you are a La resident. 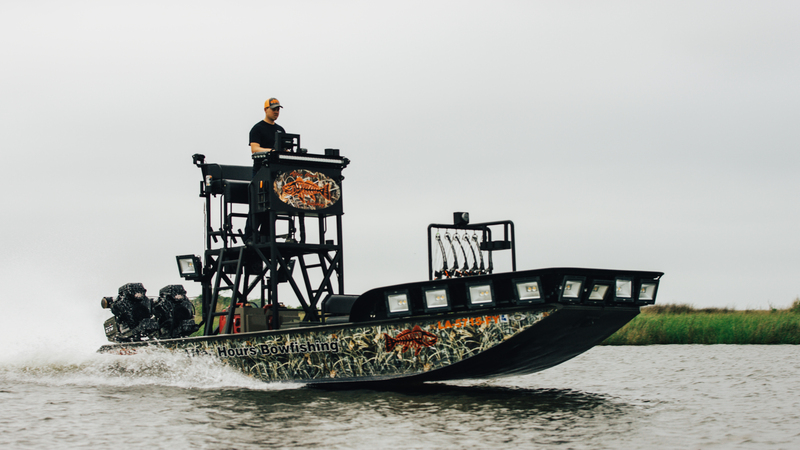 We bowfish out of a Custom Gator Tail Boat and our bows are Genesis Pros with AMS Pro Retriever Reels, Muzzy Arrows and Safety Slides. A $200 non-refundable deposit is due upon booking. If a charter is cancelled within 10 days of your scheduled date, the deposit will be forfeited and will not be credited to a future date. 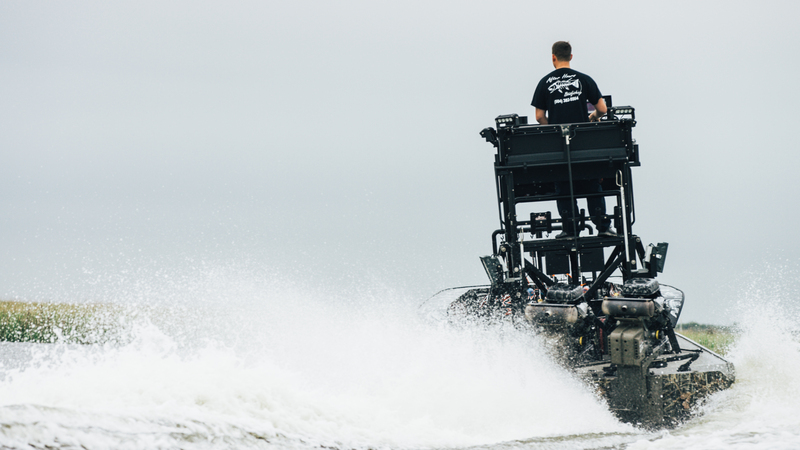 If a charter is cancelled due to high waters or inclement weather, the deposit will be rolled over into a future trip. 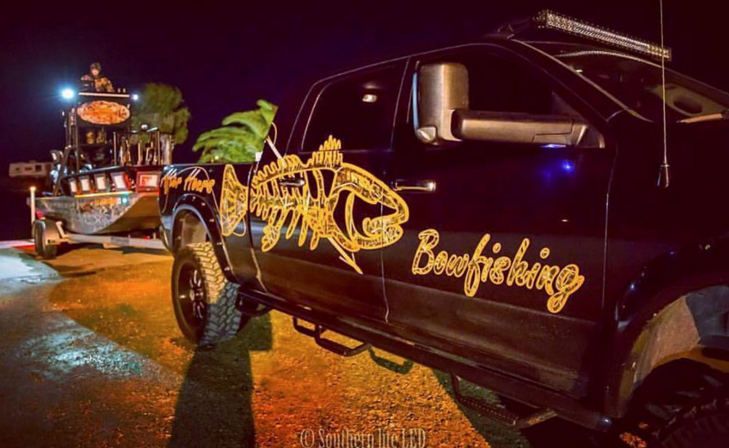 We are a Bowfishing Charter Company who enjoys taking you on a trip of a life time. For all of you fisherman out there who love to fish, this is another way to achieve that thrill of fishing. 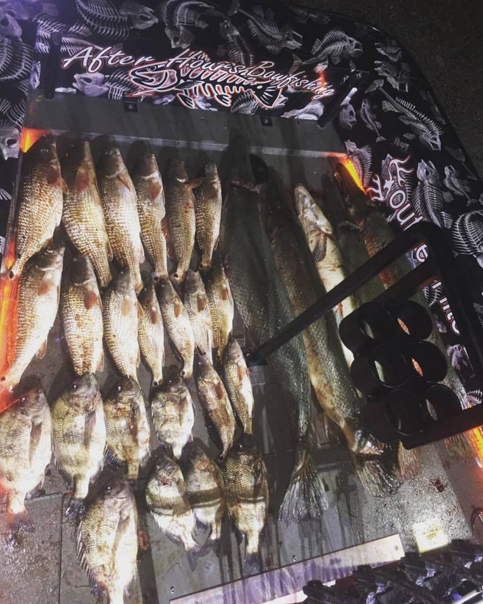 Just 20 minutes from New Orleans, we fish out of Plaquemines Parish, La.